I need to hide the '% Complete' and 'Task Status' columns from the edit form of a 2013 Workflow Task. Is there way to hide them or make them read only so the user cant change them?? I need to be able to keep the Approved and Rejected options for the user and when you toggle '% Complete' and 'Task Status' to hidden, it causes the buttons to disappear. Add the code below into script editor web part into EditForm.aspx page in workflow task list to hide the '% Complete' and 'Task Status' columns. I believe you can hide them by changing the content type in the Library settings. A new section will appear in the library settings. Select your document/item/object of interest. In this case I'll edit a Document. You should see two columns that relate to the % Complete and Task Status. Go into each of them and set them to Hidden. Here I'm doing an example with the Title column. Changing the setting to Hidden. Now when you edit the document properties or item properties, the respective item is no longer shown. If you've got access to InfoPath you can change it with the button. 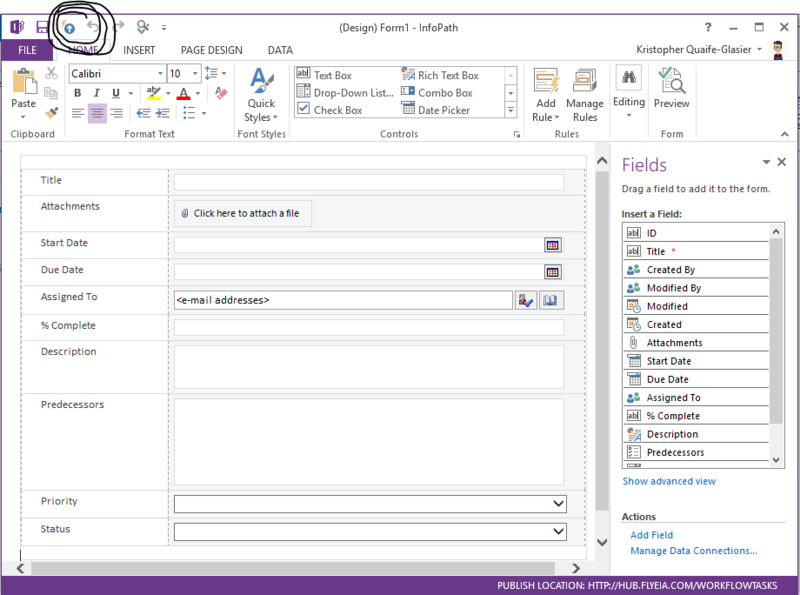 Then select the sections to remove, and do a quick publish at the top left of the InfoPath Designer window. Not the answer you're looking for? 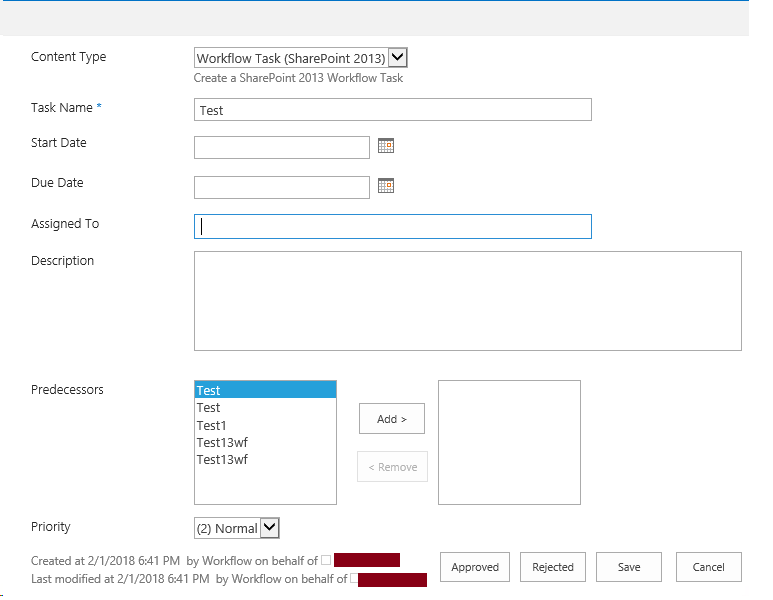 Browse other questions tagged sharepoint-online edit-form workflow-tasks-list or ask your own question.